How do I handle ECU passwords? Some ECUs are protected by passwords. BslToGo can detect the password for many. For this, select the right manufacturer from the list. 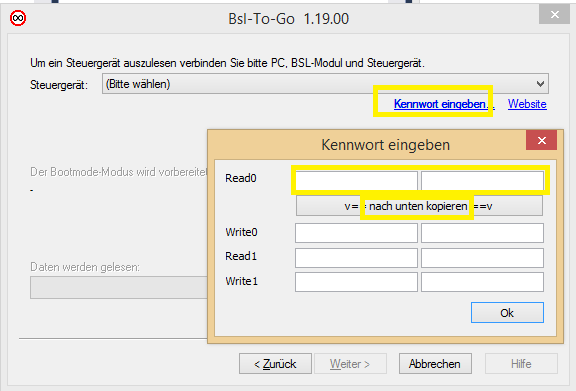 Select "Read an ECU" - "next"
Confirmt with the button"copy down"
No matter which method you use, the password will be stored in the project (or the BslToGo files) and automatically re-used when programming later on.